More often than not, I consider myself an emotionally unstable person. Emotions are a beautiful, challenging overflow of the heart. Without emotions, there ultimately cannot be love and the ability to open up to others. However, emotions, like my own, can also bottle up, clam up, and blow up well before a situation is dealt with calmly. I struggle daily defeating my inward, innate emotional responses. Thankfully, through the power of Jesus, one recent event has helped transform the ordinary customs of my behavior. The event that took place was minuscule, yet absolutely and utterly profound, too. It shook me to my core and awakened all my defenses. It numbed my body and catapulted me into a state of complete surrender. The details of what occurred are not as important as the root cause of all these reactions inside. This one event taught me that I needed to take a deep, hard look into my emotional state, or I could forever tarnish some valuable relationships. For years, I knew I needed to. Because I am a selfish, sinful human, I kept brushing off the desire to go through the painful and necessary process of taking back my emotions. Nevertheless, in order to take control of my emotions, I had to take back the anchor of my instability: I needed to deal with my adoption. As I have said before, my biological mother left me in the hospital on my birthdate. The spiritual, emotional, and mental repercussions of accepting that detail of my life have been incredibly painful and heartbreaking to work through. Nevertheless, I am far better with the topic now than I was two years ago. Despite that, I cannot say I have fully dealt with the situation. Just when I think I have overcome the anchor, another event takes place that rocks me to my core again. I have yet to come to a point in my life where thinking about my adoption has not left me numb in some way. I am not as angry toward my biological mother as I used to be. I am not as angry and stubborn, in general. Now, I am more inclined to have difficult discussions. Although, usually the other party must bring up the discussion. Rarely do I bring up the need for a discussion. Usually, I sit and barely speak, looking for anything to distract myself, which is the fancy way of saying I ignore the issue. I am not the type of person who enjoys dealing with confrontation at the moment it arises. I would much rather think about it before speaking or run away from the topic entirely. Yes, if you have not guessed it, I usually completely run away. Indeed, I am a messy person. My life has a lot of yucky areas. I need to keep myself accountable. This minuscule, yet profound event that occurred recently hit me square in the head. It was then I realized not everyone will react as graciously as others when the anchor in my soul is the megaphone behind my actions. Telling people that I have yet to deal with my adoption fully is not an excuse NOT to work toward destroying the anchor once and for all. I think that is where I have been wrong this whole time: I should not justify my actions based off an experience only I went through. I should not have to preface all of my conversations with people that my biological mother left me in the hospital just to explain my actions in the next few moments. No, that is selfish and unfair. Therefore, I know full well, I did not react in a godly way to the recent event in my life. I reacted with selfishness, fear, and trembling. I did not trust God to be all who He says and proclaims Himself to be. I thought my personal instability was greater than the present situation. It is okay if you are saying, “Wow, she must really be selfish. All she ever writes about is her selfishness. When will she get it and stop being that way?” I completely understand. I ask myself that all the time. However, because I was born in sin and will live in sin until I die, I won’t ever stop being selfish. Despite that, there is a light at the end of this dark tunnel. Being able to acknowledge any selfishness is huge. Quite frankly, I can do everything possible to not have human tendencies such as selfishness. But, truth be told, I will carry that cross with me until I go home to Jesus. Lastly, I tell you this: We all have an anchor in our souls. We all have some event or someone that greatly shaped who we are spiritually, emotionally, and mentally. We have to take the time to look at our lives and identify it. Then, destroy it. 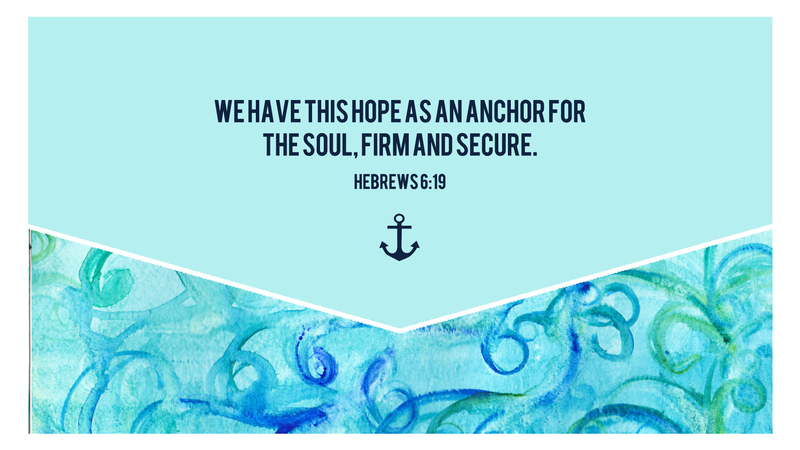 The only anchor that should be in our heart and soul is Jesus. Anything else will bring nothing but pain. No anchor but that of Jesus Christ will break us free. Jesus humbled me in a mighty way this past weekend. For the first time in what felt like years, I actually took an entire Sunday to rest. For some, that may be a normal, obvious routine. But, for me it is not. In fact, intentionally doing anything but following the holy command became one of my greatest idols. Proclaiming my use of time became my ego booster. Subconsciously, I searched for man’s approval through their gratification for my productivity and success. I wanted people to look at me and say, “Wow, I wish I could be as efficient as you. Weekends with much done are far and few between for me. How do you do it?” I wanted people to seek my advice and my wisdom, as if it was mine to give out in the first place. Once in a blue moon, I might actually proclaim that my accomplishments were only possible with Jesus and His help, His strength, and not mine. For years, I have had this idea in my head that if I fully use the time that God gives me, I glorify Him, which is far from the truth. I idolized the time He gave me; it become a selfish desire, not Christ-driven and centered. Time was not a gift, but an expectation. I expected Christ to give it to me; therefore, I expected myself to run it dry with monotonous nonsense. My ego and Satan led me to believe I was sinning if I was not constantly running and going. I thought it was a sin to intentionally rest, even among all the chaos around me. I judged people who rested. I scoffed at them for their stupidity and ill-use of God’s gift. I said to myself, “Well, you woke up today, so do everything possible to earn more time.” I thought I owed it to God to be a time-filler. I had this warped idea in my head that because I was adopted and barely had a chance at life to begin with, it was my duty to make use of each waking breath, even if it meant not glorifying Him. Little did I realize, that we are all in that same position each day. God gives and takes away our breath of life, regardless of where or how our story began and how it continues to unfold in present day. Time in itself was the snare to my fall. It was the go in my ego. Time was far from a gift. Thankfully, with the Lord’s grace and power, I can shatter this idol and begin to glorify Him, not myself. I would love to tell you to look into your own life and identify your idols. But, the mastery of idols themselves is we don’t know we have them until they hit us flat off our feet. When that moment comes, cling to the cross of Jesus and thank Him for the transformation that will occur in your heart. I promise you, it is worth shattering every idol. Recently, I made a sales speech in one of my classes. However, before doing so, my professor asked us why we buy a product in the first place. What makes one product stand out from another? Of course, there were the generic responses: name brand, efficiency, quality, etc. One of the reasons why I, and especially my husband, buy a product is because I believe in it. Much to my surprise, my professor asked for an explanation to my answer. She did not seem to quite understand my response. Although I have not been in sales like my professor, it made sense to me why believing in a product matters most. Let’s consider what a start-up company is for a moment. A start-up company is usually a business entity that is doing just that—starting. Most companies do not grow into a grand, successful organization overnight, especially not in the beginning. Often times, before someone can even establish a business as a business with a name, he or she has to take out a loan. Rarely ever, do business people inherit success. It takes work. Part of that work is finding someone or some place to loan you money. Stop right there. The key word in the banker’s above statement is “invest”. For the intent and purpose of this blog post, invest stands for belief. Investment requires giving of your money without full assurance that a company or product will succeed. If one does not know full success is possible, why put forth the money? It’s simple: Putting forth the money shows you see the potential and possibility. The success does not have to be on the plate as you request funds. But, a thorough business plan with clear set out financial and yearly goals are essential for an investment. People want to see the future plan towards results. It is also important to point out why I used someone opening up a coffeehouse in my example. I have a passion and love for coffee. 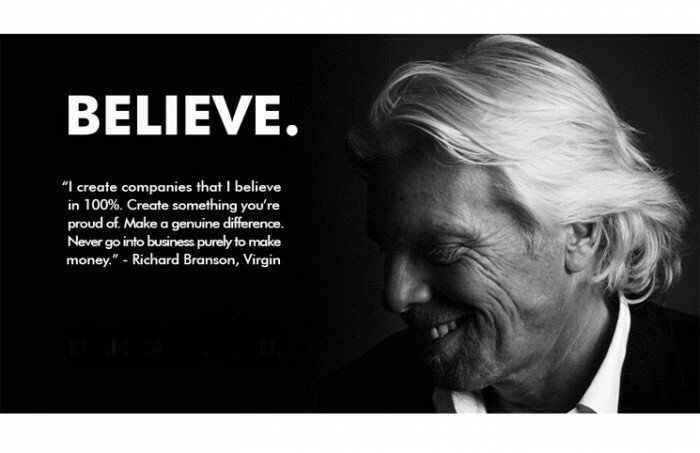 Therefore, due to prior experiences and opinions, I believe in the potential business. If someone has already created an emotional attachment to a product or service, he or she is more likely to give you money for a similar venture. Here’s another example: Often times, my husband helps fund technology products. Why? Because he has created an emotional attachment to certain pieces of technology. The emotional connection does not have to be much. It just needs to be enough to convince someone that the potential is worthwhile. It’s in human nature for people to respond and give subjectively. That’s why believing in a product matters most. Believing in a product asks why the company started in the first place, not what the product is or how the product will become a reality. Those are the results of the ultimate why—to make others believe in why of the what. To put it in simpler terms, it is the same concept as answering the question, “Why did you go into your profession?” Most people cannot answer that. It may be because they, do not believe in what they do and that what they do does impact others. The bottom line is, without believing in a product and fully embracing why the product came into existence in the first place, success is not possible. All the money in the world from a service or item will not make a difference if one loses sight of why it is there in the first place. “It takes a great deal of character strength to apologize quickly out of one’s heart rather than out of pity. A person must possess himself and have a deep sense of security in fundamental principles and values in order to genuinely apologize.” – Walt Whitman. I am a person who apologizes too much and not enough. Often times, I apologize more when I don’t need to than when I actually do. I think the reason why someone like myself tends to apologize when it is not needed is because one does not think apologizing will make a difference. It seems easier to apologize when it is not necessary than when it absolutely is. However, based on my own life experiences, there are three important reasons why apologizing, even when it hurts, the most matters. Before one can fully understand why apologizing is important, one must examine their practice of apologizing. It is hardest for me to apologize when I say something hurtful to someone. In the mere moments that I have sat here writing this blog, all of my most difficult moments have flooded back. Every single one of them has something in common: I said something hurtful. It does not matter if that person was my husband, my mom, my dad, my boss, etc. The list of people I hurt seems endless, but the root cause remains the same. Now, it is significant why each of those moments revolved around words. My love language is words. I feel most loved, appreciated, and valued by others through words of affirmation. In my weakest moments, I yearn for words of truth about Christ and I yearn to hear that someone still loves me even amidst all my sin. It may not be the same for everyone, but most people probably have a similar pattern in one way, shape, or form. Yes, everyone says things in anger they may regret later. However, depending on who you are, your anger may manifest in other more prevalent ways as well. For example, if your love language is acts of service, you may not clean something to get back at someone who has hurt you. If your love language is gifts, you may give someone a less thoughtful gift because the last gift you received wasn’t meaningful in your eyes. If your love language is touch, you may have the tendency to throw things at someone in a rampage. If your love language is quality time, you may avoid someone in anger. It is funny how our love languages can be our greatest source of comfort and our greatest source of conflict. My previous paragraph is not one of justification but one of self-examination. The most effective way to apologize is to look at yourself and not the other person. It is not about figuring out how best you operate with the intent to manipulate. Understanding our response to anger helps us as individuals see what the root cause for said anger most likely was. We use our love language to feel loved and to reject love as well. When we fail to apologize not only are we rejecting love but it is also a form of lack of love towards the other person. If you truly love or loved someone, nothing should stop you from apologizing to them. No act or word should be able to completely rid of genuine, unconditional love. Apologizing is an act of humility. It shows that you realize you are not perfect, nor are you the best thing that hit this earth. We all make mistakes. However, it matters most when we are able to acknowledge those mistakes and admit that we messed up. Most important, apologizing matters because it makes one aware of their need for forgiveness. After apologizing, one usually seeks forgiveness from the offended party. People typically cannot see they need forgiveness until an apology is necessary. Until then, there is no evident mistake in their eyes. I challenge you to learn what your love language. Then, examine why and when you apologize most. You may see a pattern. You may have the tendency to retaliate with your own love language instead of apologizing. If you do, try to change it because no matter how much we think otherwise the problem is within ourselves and no one else. Regardless, when you apologize make sure it is genuine and done out of love. “Compassion is passion with a heart.” – Tom Krause. Last week, I shared a small part of my passion for coffee. However, I began to appreciate and enjoy my passion more when I turned it into compassion. Some of my most memorable coffee gatherings are those spent in fellowship with others. When my husband and I got married, we decided we would be hospitable people who frequently gathered with others in our home. We would not consider ourselves a pair with countless upon countless of friends and cohorts. Instead, we have a couple handfuls of strong friendships. We believe it is more important to continuously grow and develop in the relationships we have already created than to consistently seek out more friends. We knew that just meeting people for coffee wasn’t enough because we desire to know our friends and family on a heart level. We knew in order to make that possible, we had to make a few changes. First, we had to welcome others into our home. In 1 Peter 4:9, God calls us to be people of hospitality without complaints or grumbling, to offer one another a meal and a place to stay. We are to spread the Gospel to the ends of the earth. However, we knew that we could not share the love and grace of Jesus with our dear friends without acting out that love first. Second, we had to seek first His kingdom. Matthew 6:33 reads, “But seek first His kingdom and His righteousness, and all these things will be added to you.” In other words, seek God first and He will provide. He will be in control, as He always is and forever will be. At the current young stage of our marriage, we have not had many people over for fellowship. However, we have learned to trust God in the little moments that we share with others in our home. On numerous occasions, my parents commented on the constant smell of coffee in our apartment. For some, that seem insignificant. But, for us it made sense. Our apartment would not have the constant smell of coffee if we did not drink it on a daily basis as a couple and consistently with other friends and family. My parents’ comments showed me that God is in control. In every day little things, He helps me see that my passion is something that should and will be shared with those that He chooses to place in our lives in His timing. Third, and most important, we could not idolize our passion. Exodus 20:4 reads, “You shall not make for yourself an idol, or any likeness of what is in heaven above or on the earth beneath or in the water under the earth.” Some may read that with confusion. But, when our passion turns into a selfish, self-seeking moment it becomes an idol. If we choose to focus on ourselves and our appreciation for a gift God gave us, we idolize it. Now, we need to be people who take time to self-examine why we do what we do on a daily basis. If we eat and drink for self-glory, it is sin. If we persevere through a tough challenge for self-glory, it is sin. Anything we say or do for our own earthly kingdom is sin. I am not saying you have to open your home to everyone to be hospitable or to better the kingdom of God. But, I am saying, find a passion and put your heart into it. Living with others on a heart level is one of the scariest, yet bravest daily habits to practice. It is only when we do so will we really be able to connect and make an impact. A public speaker once told me, “Speak from the heart to the heart. If you can do that, that means you are different than everyone else.” The same can be said for living life from the heart to the heart. If you can be vulnerable, if you can be real and honest, if you can be compassionate, it will make all the difference. Those that I reach out to don’t need coffee to know Jesus. No, we need Jesus to reach out to others. The coffee is simply the welcome mat and we are the open arms of Christ.